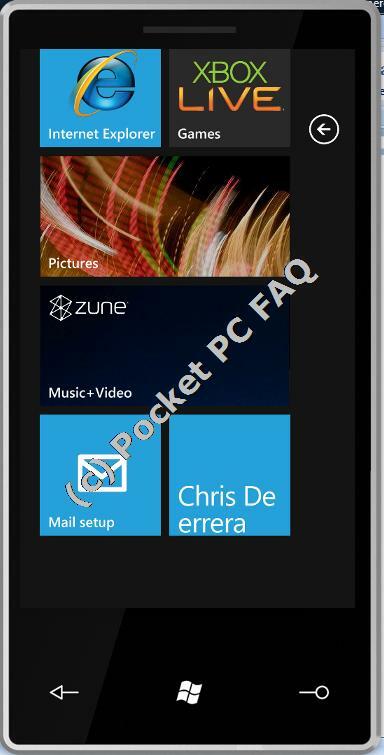 ﻿ Pocket PC FAQ - Pocket PC, Handheld PC and Windows CE FAQs, Reviews, Commentary, etc! Come check out the Windows Phone 7 Unleashed event for everything you need to know to develop for WP7. Whether you�re a seasoned veteran or you�re just starting with .NET development, there�s something in it for you. The first half of this deep dive event is lecture and hands-on lab. At the half-way mark of the day, you�ll have a solid foundation for building WP7 applications. The second half of the day is going straight to code. Speakers include Michael Palermo, Chris Coneybeer, Joe Guadagno, and Dan Wahlin. Build the best app and win a $500 (1st place), $200 (2nd place) or $100 (3rd place) AmericanExpress gift card! Free MarketPlace tokens for those putting their application into the marketplace (a limited supply of these, organizers of each event will collect names and we will distribute). Unleashed events that are submitted to marketplace. The top 25 will be selected and then one of the top 25 will be randomly picked for the prize (So get your app into the marketplace after the event). They are also giving EVERY attendee a free set of their $99.00 WP7 Controls. PDSA, Inc . is pleased to sponsor the WP7 Unleashed Events. They will be giving 2 lucky winners from each event a chance to win four 1 hour long videos on Silverlight. In addition, 1 lucky person will win our Haystack Code Generator for .NET at each event that allows you to create the business and data classes and the WCF services that can be consumed by Windows Phone 7 applications! O�Reilly will be giving away a free ebook to every attendee (Many WP7 titles) and will also donate a few books to raffle at each event. Interface Technical Training (http://www.interfacett.com) is also sponsoring the event and providing the facility as well as PCs and dual monitors for each student to use as they build WP7 applications. Food and Drink (Water, Sodas) will be provided. Here's a list of all the publicly discussed Windows Phone 7 Series 3rd party applications with links for more information. Note: These screen shots are subject to change as Microsoft gets closer to the final release. As additional information is released these FAQs will be updated. Here's my pictures from CES 2010 for Digital Experience, Lenovo and some cool ads! CEWindows.NET is now Pocket PC FAQ!